Who is Peter Kareiva and why do we care about his definition of conservation biology? Kareiva has been the Chief Scientist at the Nature Conservancy since 2002. That’s a BIG job, given that the Conservancy employs about 600 scientists. The huge number of scientists at the Conservancy is one of the reasons why it is unique amongst environmental organizations. Most environmental organizations employ more lawyers than scientists. There are over one million members of the Nature Conservancy (of which our household is one). They have protected more than 119 million acres of land, thousands of miles of rivers and created over 100 marine reserves worldwide. They have projects in all 50 states of the US and 35 countries around the world. Another reason why we are interested in the opinions of Peter Kareiva is that the Nature Conservancy engages in some of the most aggressive restorations of which we are aware. One of their famous projects is the return of tall grass prairie around Chicago, Illinois, which required the destruction of untold thousands of trees, many of which were native. These projects began decades ago and have generated a great deal of conflict amongst those who value the trees and object to the methods used to kill them, including herbicides and prescribed burns. Another famous Conservancy restoration is on the Channel Islands, off the coast of California. 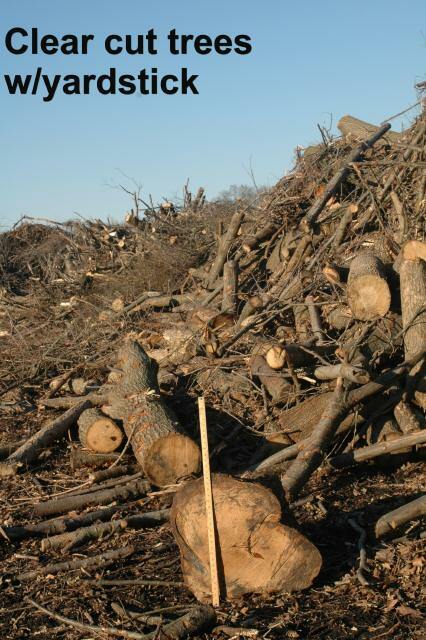 Thousands of non-native animals were removed or killed. Native mice were rounded up in order to carpet-bomb the islands with rodenticides to kill rats. Feral pigs had been the preferred food of the Golden Eagle, which then turned to the rare Channel Island fox as a substitute when the feral pigs were exterminated. So, the Golden Eagles were captured and shipped elsewhere. 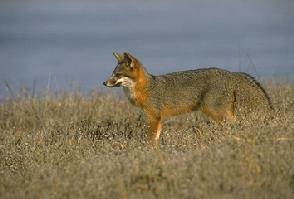 Thanks to a captive breeding program the Channel Island fox was spared extinction. Feral honeybees are also being exterminated because they are not native. This is but a brief description of the extreme measures taken on the Channel Island to rid them of all traces of human habitation. We have been following Kareiva’s career since that interview and he has become increasingly vocal in his opposition to out-dated notions of creating “pristine” historical landscapes. He is now one of the proponents of naming the current geological era the Anthropocene in recognition of the reality of man’s pervasive impact on the environment. In 2012, Kareiva and a co-author published a manifesto redefining conservation biology, which was defined by Michael Soulé in 1985. (1) As defined by Soulé, it was solely a biological science focused on biodiversity, and human influence was perceived as detrimental to its goals. It was considered a “crisis science” which advocated for action in the absence of data because of the urgency of reversing environmental damage. The world has changed significantly since 1985. Human population has increased from 4.8 billion to more than 7 billion in 2011. Energy consumption has also increased significantly as developing countries approach the standard of living of developed countries. There is a growing understanding that human activities have altered even remote corners of the earth. The preponderance of novel ecosystems has rendered irrelevant earlier notions of the importance of co-evolution in static ecosystems. There is also waning political will to impose standards for conservation that are antithetical to the interests of humans. Local projects do not reflect the wishes of the community. In most cases, the community was not even aware of the projects until they were completed. When the public has had an opportunity to object to the projects, their objections are largely ignored. Local projects use pesticides and many conduct prescribed burns. These methods used to eradicate non-native plant species are harmful to the environment and the people and animals that live in it. Local projects often exclude people by building fences around projects, closing trails, and restricting all recreational access to the trails. Our local projects treat the public like intruders. If the world’s largest conservation organization can redefine its goals to accommodate the needs of humans, what possible excuse do managers of our public lands have to ignore the public’s wishes? The Nature Conservancy is responsible for lands acquired with the voluntary charitable contributions of its donors. In contrast, the public owns our public lands and pays for the management of those public lands with our tax dollars. Shouldn’t the managers of our public lands be more accountable to the public (who pay taxes whether they want to or not) than the Nature Conservancy is to its donors (who can choose not to donate)? Thanks, as always, for the info. The word “nature” is used a lot these days for groups and products and one doesn’t always know who to trust. Amen especially to the last starred paragraphs. Honestly the term conservation really is a misnomer, since something else is always at risk. I also support them, but it is to save LANDS for wildlife, not eliminate certain species for the sake of some animals or plants preferred. We agree. It is a dilemma. We want to preserve the land, but not damage it as is often done by misguided “restoration” projects. We hope that Kareiva’s definition of conservation science is being followed by the Nature Conservancy. Do I correctly read you to opine that the crisis response of conservation biology does not fit our time because the pervasiveness of human influence on the biosphere is past a point of no return?